The importance of having Google reviews for your business is undeniable. Due to their worldwide reach, Google now serves as one of the top review platforms on the web. Translation: anyone, anywhere can read up on others experiences with your business, at anytime they like. If a consumer runs a Google search on your business, they don’t even have to click through various links to find Google’s reviews on your business. Why? Because your Google My Business profile will populate on the righthand side of the search results, displaying your star rating at a quick glance. While there are various other platforms that consumers can browse reviews of your business on, none are quite as accessible and reputable as Google. Because of their constant tweaks to their policies to ensure there isn’t any fraudulent use of the platform, Google has been able to earn the trust of consumers. 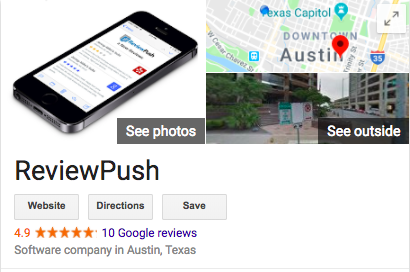 It’s why many businesses use platforms like ReviewPush to monitor their Google reviews; ensuring they’re active in collecting feedback as customers experience their business, and responding to those online reviews as they come in. You’ve heard us say it numerous times, but we’ll say it again: 87% of consumers trust online reviews just as much as they would trust a recommendation from a friend or colleague. Online reviews are constantly accessible by consumers, making it crucial for your business to have a presence on various review platforms; especially Google. However, with their recent policy updates to their terms of service, Google seems to have ramped up their algorithms and set new parameters for their employees to follow when analyzing reviews that come through the Google database. As they’ve slowly been rolling out changes to their policies, such as no longer allowing the solicitation of reviews in bulk, businesses have been forced to change their approach for collecting feedback. Regardless of your intentions with asking for feedback, Google has put their foot down in regards to what they’ll allow. You’ve worked hard to gain the continued support of your customers, and have made it a goal that their experience is top notch every time. Having recent online reviews plays a vital role in the ongoing success of your business. There are a few steps you can take to ensure you can continue to collect them without fear of removal. Though it can seem daunting to a new business without an online presence to build a repertoire, nothing beats the feedback from a customer who was truly impacted by their experience with your brand. Though it may be tempting to seek out an alternate method in getting reviews such as purchasing them, we highly advise against doing so. A grammatically impeccable review on a business someone hasn’t encountered doesn’t compare to the heartfelt words created by experience. Not only do they seem too good to be true to weary consumers (because it is), it’ll likely get flagged. Though it can seem daunting to a new business without an online presence to build a repertoire, nothing beats the feedback from a customer who was truly impacted by their experience with your brand. 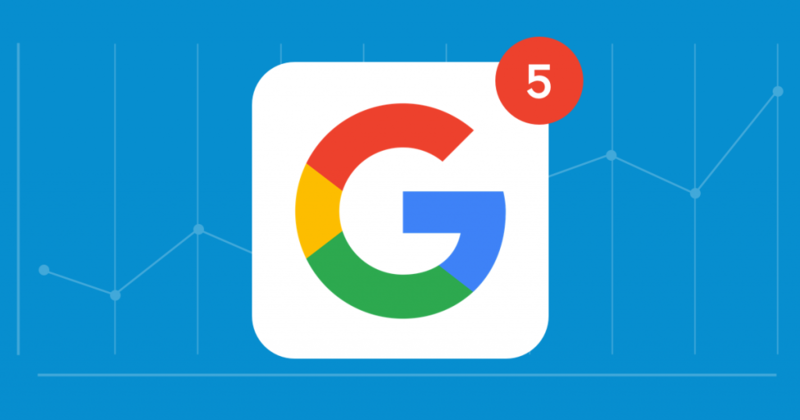 We’ve been keeping you updated in regards to changes to Google’s review policy, and we cannot emphasize enough how important it is to abide by these updates. As many things in life, companies are constantly evolving. In order to keep their platform in good standing from all fronts, Google let the world know they’re cracking down on reviews by simply updating their policy. One of the best things you can do is to adapt to their changes. We’ve updated our stance on review solicitation to better advise our customers and other businesses to the best of our ability. No, we aren’t referring to calling up Sally who came into the store yesterday at 10:15 am to gently remind her your business keeps running thanks to it’s reviews. Though, the concept behind those actions isn’t far off. If you have a brick and mortar location, placing banners on windows or by check out aisles is a subtle way to communicate to consumers that your business has an online presence on those select sites. Even if they’re not interested in the idea of leaving a review, they now know where to find others reviews on your business should they need to look into an issue or question they had. By doing this, you’re not approaching the customer in an overbearing way. Rather, you’re simply giving them an idea of what sites they could visit should they feel so inclined to leave feedback regarding this experience. Even if they’re not interested in the idea of leaving a review, they now know where to find others reviews on your business should they need to look into an issue or question they had, but would rather seek out consumer feedback than going straight to the business for a potentially biased response. Google is not the player in the industry that you want to mess with, and we highly suggest taking their policy updates seriously. At ReviewPush, we want what’s best for you and your business. Sometimes that entails changing our positioning on certain practices. But innovation and adaptation are often the key foundations to a successful business throughout the ages.